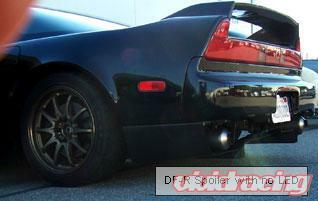 This is DFs own modified clean version of the NSX-R wing. 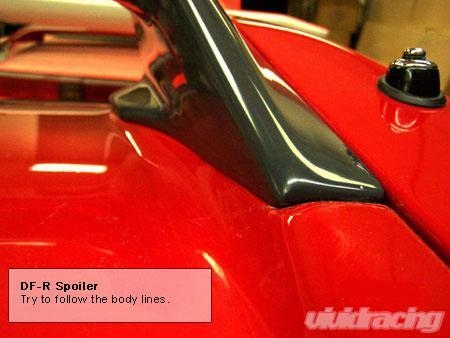 The front leg knobs were cut off so the spoiler flows with the car. Nothing else on the wing was changed. Many people can not tell the difference between the original R design or DF. If you prefer the wing without the leg tips sticking out then this is the best choice. 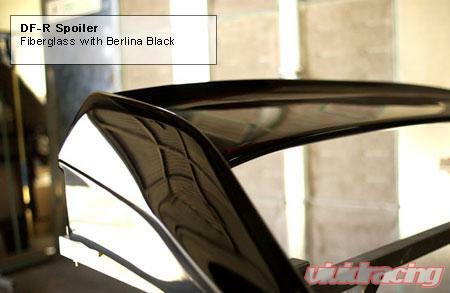 This spoiler has been tested to withstand over 200 lbs without any change in structure. 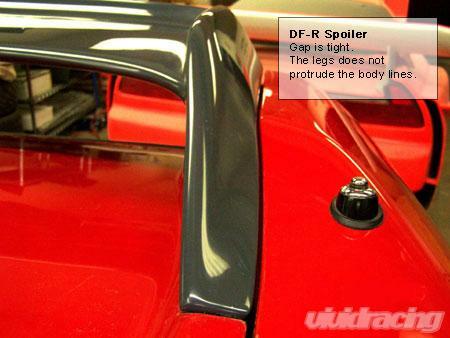 The DFR spoiler comes with show quality Glasurit clearcoat for the added convenience. Downforce is committed in the advancement of composite plastic engineering by utilizing the newest and even experimental materials. Our tests has helped us to maintain our quality standards and produce products that were once out of our scope. All of our products are continually being revised and improved upon. We provide consulting services and have tested numerous breakthrough composite technologies with a few universities and provided testing data. Our understanding of chemical engineering and nanotechnology allows us to build products that are difficult to conceive. We house a small in-house lab to test for adhesion strength, shear strength, hardness, uv-a, uv-b, weathering, static strength, impact strength, air pressure deflection, temperature, optical haze, lux, lumens, fc, color testing. Downforce was created to provide an identity over OEM offerings. Our designs are not meant to disrupt the original style but to take it a bit further. We have worked with designers from Ford, BMW and Porsche. Our passion has been focused on efficiency from the design to the manufacturing.